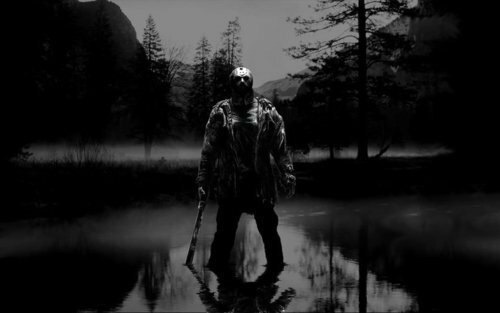 Jason in the Lake. . Wallpaper and background images in the Jason Voorhees club tagged: jason voorhees friday the 13th remake 2009 fan art derek mears tumblrs. This Jason Voorhees fan art might contain fontein, sunniness, zonnigheid, ponderosa, ponderosapijnboom, westelijke gele grenen, stier pine, pinus ponderosa, ponderosa pine, westerse yellow pine, and bull pine.